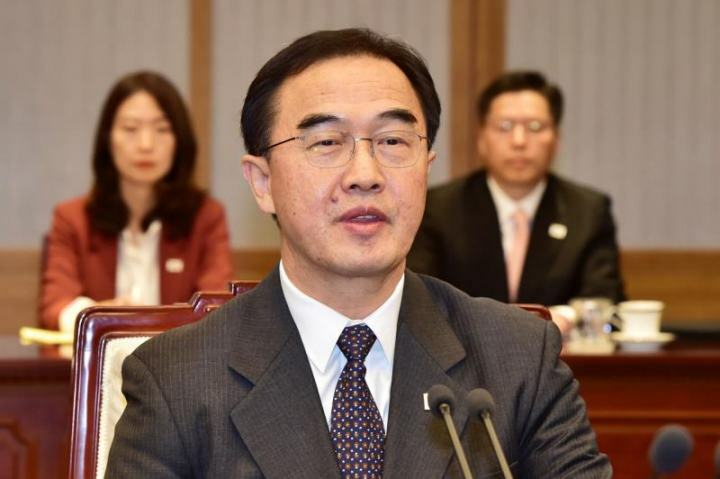 Seoul ,South Korea –Cho Myoung-gyon, South Korea's unification minister, will embark on a five-day trip to the USA on Tuesday to discuss issues related to North Korea denuclearisation and inter-Korean relations. The official visit comes in the thick of almost stalled denuslearisation talks between the involved nations, with a recent New York meeting between US Secretary of State Michael Pompeo and Kim Yong-chol, a senior aide to North Korean leader Kim Jong-un, being postponed without a date in sight. The minister is slated to meet the Chairman of the House Foreign Affairs Committee, Rep. Ed Royce (R-CA), and experts on North Korea from institutes like the Center for Strategic and International Studies (CSIS) during his trip, according to Yonhap News Agency. He is likely to put forth easing of sanctions on USA's end towards North Korea for ease of cross-border projects, along with reiterating the belief that improved inter-Korean relations stand to benefit the denuclearisation process.